Have you always wanted to create your own website but have no idea where to start? If so, Alison's new website development course is for you! 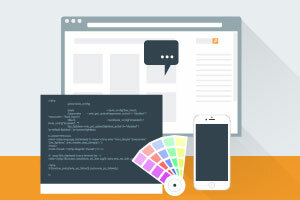 Developed by award-winning Warwick University Teaching Fellow Russell Stannard, this course teaches the skills and techniques you need to create a professional web page. By taking this course, you will learn how to get your products and services out to a wider market with your own website today! This course introduces the basic languages and programmes needed to create and style websites such as HTML and Cascading Style Sheets. Sounds tough? Don't worry! The topics are delivered in a non-technical and step-by-step manner so you can understand them fully. First off, what is HTML? Also known as Hypertext Markup Language, it a standardized code for achieving font, color, graphics, and hyperlink effects on World Wide Web pages. Next, you will learn about CSS. Cascading Style Sheets(CSS) describe how HTML elements are to be displayed on the screen, paper, or in other media. It saves a lot of work since it can control the layout of multiple web pages all at once. The course will cover the most important styles and style sheets, background and font styles, selectors, pseudo classes and pseudo elements, inheritance, and cascades used in CSS. Learning the important features necessary to create a website is just a few clicks away with this free online course. This knowledge will be of great benefit to anyone looking build a professional website for their business, or for students who are trying to improve their web design abilities. So, enrol in this course today, and by the end of the week you will be able to start making your dream website a reality. After completing this course you will be able to identify important features that are necessary when creating a website such as entities, anchor tags, inserting images, presentation tags, links, tables, lists and much more. You will understand Cascading Style Sheets in web design such as style, div, span, inline styles, internal and external style sheets. You will become familiar with using Dreamweaver to make your website. In Dreamweaver you have knowledge of HTML, CSS, naming conventions, index files, window properties, inserting images, linking web pages and many other interesting features of Dreamweaver that will help you to build your website successfully.